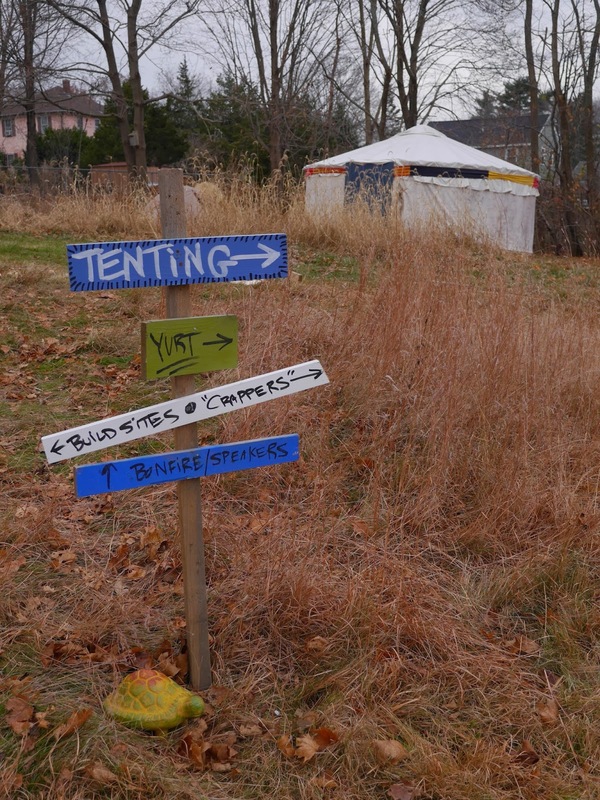 Here's a yurt that was recently erected at our Relaxshacks.com Hands-On Tiny House Building/Design Workshop in Massachusetts. We WILL have a yurt assembly demo at our next workshop too (April 11-13th, 2014- Memphis, TN- slot are already filling up!) - AND those who are first to sign up, will be welcome to stay in it too- which'll save the hassle of bringing a tent, or having to pay for lodging. kidcedar at gmail.com or click on the banner link (2014) above on the blog. SEE A YURT BEING ASSEMBLED, BUILD AND DESIGN TWO TINY CABINS, TOUR 5-6 MORE TINY HOUSES, an A-Frame, Travel Trailers, and more! 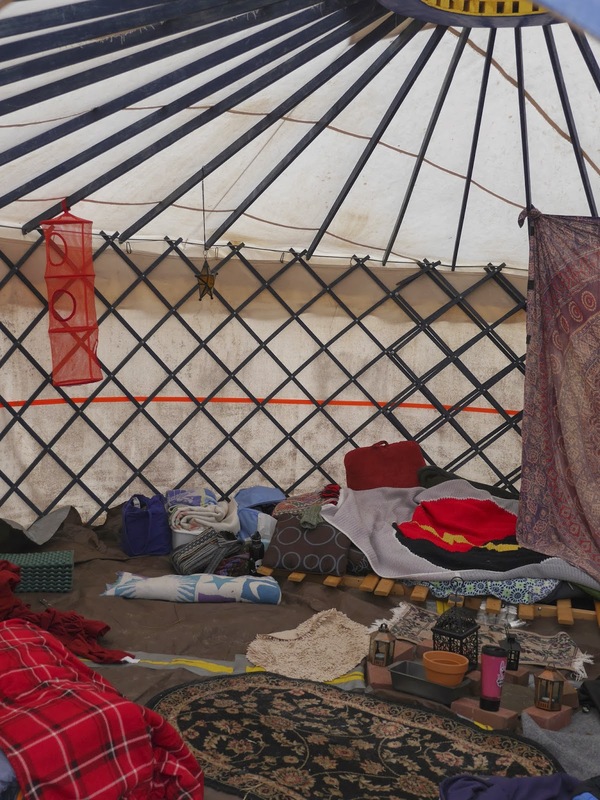 This yurt is pretty huge inside, and housed several people at our last workshop (and shall do so again- perfect for those who fly in, but can't lug a tent with them, and don't want to spend money on a hotel).